Today you’ll be going back in time to become a trader and build your own fort. You’ll travel through the wilderness and face untold dangers. The ones who make it through alive…win. So begins our Time Travel Field Trip to 1836. It’s unlike any history lecture, textbook or presentation you’ve ever seen. Why? How did the trade triangle between St. Louis, Santa Fe, and the local Plains Tribes affect the people and animals of the time? What geographical features made a fort more or less successful? What resources drew people to Colorado? Analyze maps to make wise decisions. 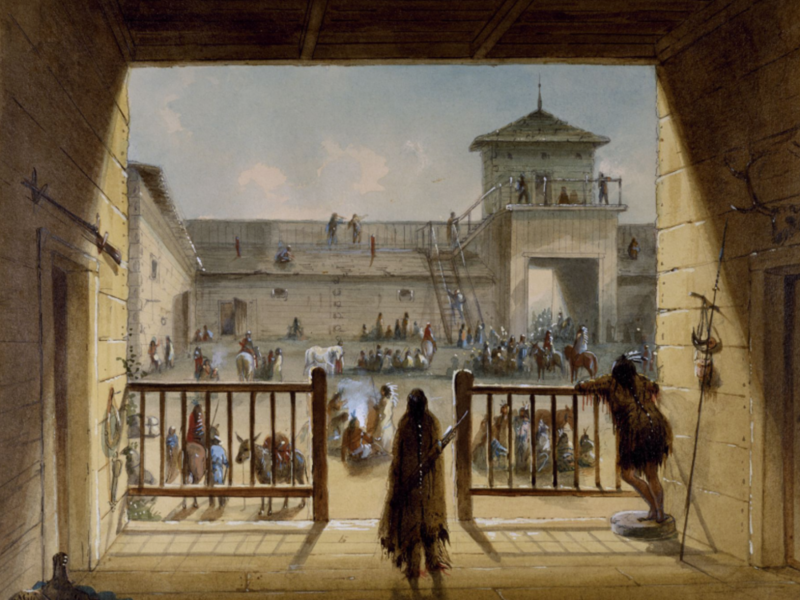 What was life like at Bent’s Fort? What was it like to travel on the Santa Fe Trail? What were the risks and rewards? (SS09-GR.4-S.1-GLE.2) Students know about the historical eras and groups in Colorado history. (DOK 1-3) Give examples of the kinds of goods and services produced in Colorado in different historical periods and their connection to economic incentives. Two class periods, 45 minutes to an hour each.